Welcome to our estimating reference section for your backyard projects. Bookmark this page, and keep it handy while you're building your dream yard. It will be a great reminder of the formulas you need to do rough estimates for your materials. Planning your landscaping projects requires you to know the whole landscaping process, so browse the rest of our site for great how-to information. There are tons of helpful tips in our articles, including the rest of this particular series. This is part of a 12 part series called "landscaping Yards". You'll find the rest of the links at the bottom of the page. They'll cover many of the materials that you'll need to complete your backyard landscaping projects. Remember when dealing with natural materials they are only rough estimates. Every rock is different in its composition and density . If you are using the metric system, there is a conversion link below. Landscape supply yards won't always be able to help you with your needs. Especially when they are busy. Know how to estimate before you go. Estimating gravel sub-base for walls, patios & pathways. Most North American landscape yards sell in cubic yards, so you'll need to convert cubic feet to cubic yards by dividing by 27. Don't forget to account for compaction of gravel by increasing your amount by at least 10%. Rounding up with most orders will usually cover your needs. For example, if your estimate says 1.64 Yards, Round this off to 2. If you want to build a patio that is 10 ft. by 10 ft., the perimeter should be 10 feet 6 inches by 10 ft. 6 inches. This will provide adequate support for the perimeter of the patio surface. How much sub base material will I need? Every climate or region will have different construction requirements. 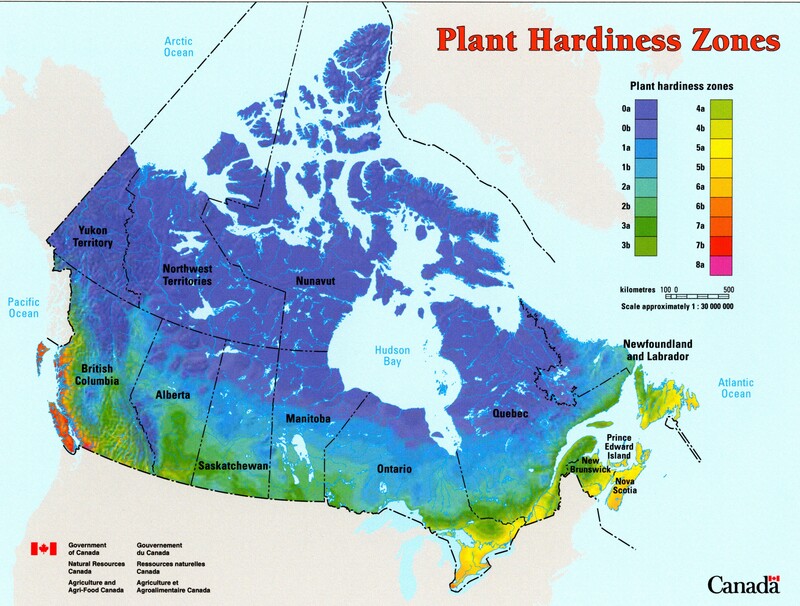 To determine how much sub base material you'll need under your project, locate your hardiness zone (Climate region), by referencing the links below. Then compare them to the project sub base tables. These are only general guidelines. We always suggest you check with your local supplier as to what they recommend for your local area. The actual dimensions from the manufacturer for an 8x4 brick, may not always be exactly 8x4 inches. This estimate will get you very close. Remember that a 2 by 4 of wood is not actually 2 inches by 4 inches. This can be the same for an 8x4 brick. It may not be exactly 8x4. You should always visit the website of the supplier for the most accurate measurements you can get on the products you are using. Eg. A 12 ft (L) x 12 ft (W) patio using 8x4 inch bricks. Convert the length and width of your area in feet to inches. The idea here is to get you close. This is another reason why your sub base dimension should be at least 6 inches larger than your material. This gives you margin of error. If you want the exact measurements, you can find this information in the product brochures available from the manufacturer. They will usually give you a square ft. coverage amount for each brick for more accurate results. Working with their dimensions is the best way to estimate your needs. To order sub base sand for that same patio dimensions, you'll need a one or two inch layer depending on the project. A one inch base is the most common with bricks. When working with flagstone you may want to increase that amount. Having a little more sand makes it easier to work with stones that have variations in thickness. Not all landscapers use sand. Some contractors will build their base directly over crushed limestone or other fine materials. This is your choice, but again, talk to your local supplier as to what they recommend. There are also different types of sand and some are not recommended for projects like this, so make sure your suppliers give you the right one. 12 ft. x 12 ft. = 144 sq. ft.
144 x 1 inch (.08 ft.) = 11.52 cubic ft.
11.52 cubic feet divided by 27 = .42 cubic yards. A half yard of sand will generously cover this whole patio area. Remember that your base is always going to be a little bigger than your actual surface area for support around the edges. This is generally sold in 50 lb bags and typically covers 50 to 75 square feet. The coverage varies on the gap size and depth between the stones. We have some great information on jointing sand and how to install it in our product profiles sections. Envirobond has even provided some videos to help you with your install. 1 ton of stone has an average coverage of 30 to 35 square ft. of wall facing. Again, this can vary depending on the size, shape, density and other factors. These are only estimates. (wall length x wall height) + (wall length x wall width) = wall cubic feet. 120 divided by 35 = 3.4 tons order an additional 5% to 10% to account for wastage. The above application may end up becoming a little more than 3.6 to 3.9 tons depending on wastage. Should be around 1 ft in thickness or more. If the stones are consistantly smaller than a foot in width, your coverage will be greater, but at the expense of strength and stability. These can be built with a little less thickness (6 to 12 inches). Coverage amounts for these will usually run around 40 to 45 ft/ton. Should have a thickness of 1 1/2 ft or more. Your coverage will be greatly reduced, but the stability is important. In this case, your coverage may go down to 20 or 30 square ft/ton. Manufactured products make specific blocks that have recommended height restrictions on them. The smaller stones are for garden walls usually up to 12 to 18 inches in height. The larger (Jumbo), blocks are used for retaining walls and often have interlocking features. The same thing should apply to natural stones. The higher the wall, the larger and more stable the stones should be. 2 inch thick flagstone will generally cover around 70 to 80 square feet/ton. (I have seen my coverage drop to 60 square feet/ton with 3 inch flagstone.) On the other hand, I have had my coverage increase close to 100 square feet/ton with 1 1/2 inch flagstone. Again, these are only rough estimates and can always be affected by the density of the stone. It's not recommended to build dry-laid flagstone projects with stones less than 1 3/4 inches in thickness. Their is a higher risk of breakage and/or cracking. I try to maintain a thickness of around 2 inches for most of my dry-laid projects. You'll find some contractors using thinner stones for better coverage and claim they have no problems. We don't dispute this, we only recommend what the industry knows to be a "Safe" thickness. This is a decision for you to make. Good luck with your project and enjoy our site.